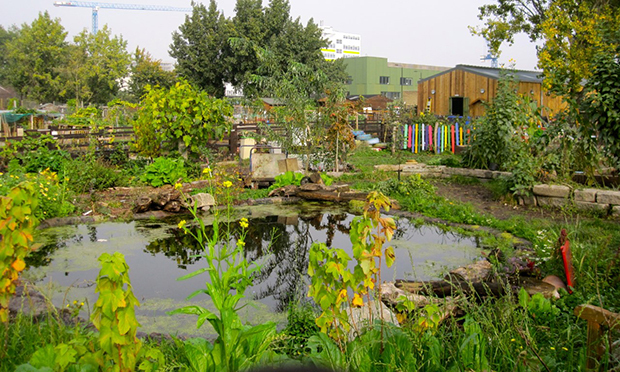 Stepney City Farm today received a prestigious Green Flag award from environmental charity Keep Britain Tidy. The scheme, now in its twentieth year, recognises the best parks and green spaces across the country. The farm was one of the highest-scoring among a record 1,686 recipients. Kevin Moore, CEO of Stepney City Farm, said: “We are absolutely delighted to receive a Green Flag Award from Keep Britain Tidy. Along with the animals, the farm hosts events for the local community. On Sunday 31 July from 10-4pm, the farm is running a special event in conjunction with The Spark, a free festival focused on bringing positive change to the UK. “Where Does Our Food Come From?” features a full day of workshops about local food and the politics surrounding it. A new series of FoodTALKS also kicks off on the day with a discussion on the controversial topic of ‘fast fashion’. The talk will be led by anti-poverty campaign group MADE, which has teamed up with organisations across the UK to expose poor working conditions and hold big corporations to account. It was previously scheduled for 28 July but is now included as part of Sunday’s festival.